How are Our Emotions Stored in the Organs? Visceral Manipulation (VM) was developed by French Osteopath, Jean-Pierre Barral. He was named one of TIME Magazine's Top Six Innovators for Alternative Medicine to watch in the new millennium. As each person's situation is different, the number of visits will vary. Many people experience significant improvement within three to five therapy sessions; others may require additional treatment. You and your practitioner will develop a plan based on your needs and how your body responds to treatment. VM is a soft hands-on manual therapy. Underneath the pain or diagnosis is a compensatory pattern created in the body with the initial source of the dysfunction often being far from where the pain is felt. Because of this, the practitioner searches for this pattern and the source, and treats the related tissues. The treatment is a gentle compression, mobilization and elongation of the soft tissues. As the source of the problem is released, the symptoms will start to decrease as the body returns to greater health. This could take several days to occur after the Visceral Manipulation treatment. An irritable baby with developmental delays came into my office with full body eczema and allergies to almost every food. I determined that the common bile duct, duodenum and liver were restricted. This meant that the baby could not digest and metabolize fats and proteins. The release of the common bile duct took less than thirty seconds. Her liver and duodenum freed up and the eczema cleared. She began to grow and became a happy child. Her gross motor skills and speech skills improved. Now, age of 3, she has no more delays. A man in his mid-thirties came to see me with low back and knee pain, overall low energy, as well as digestive problems. At the age of 13 he had an appendectomy. Scar tissue had formed that decreased the mobility of his large intestine. Scar tissue also pulled down on his right kidney. Since the kidney, which has a strong effect on energy and metabolism, was not moving and working properly, he felt tired. The restriction of the kidney also caused the muscles and fascia around that kidney to be tight, which caused low back pain and misalignment of his right leg. Because of this misalignment and the compression of the nerves behind the kidney that go to the knee, he was also experiencing right knee pain. These symptoms of right knee pain, right low back pain, low energy, and digestive problems were all linked back to scar tissue from the appendectomy at age 13. By releasing the scar tissue and enabling the intestines and kidney to move properly, his symptoms abated. 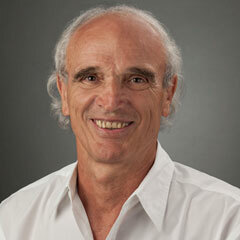 Jean-Pierre Barral is an Osteopath and Registered Physical Therapist from France. He first became interested in the movement of the body (biomechanics) while working at the Lung Disease Hospital in Grenoble, France with Dr. Arnaud, a recognized specialist in lung diseases and a master of cadaver dissection. Barral was able to follow patterns of stress in the tissues of cadavers as he studied biomechanics in living subjects. This introduced him to the visceral system, its potential to promote lines of tension within the body, and the notion that tissues have memory. Barral's clinical work with the viscera led to his development of this form of manual therapy that focuses on the internal organs, their fascial environment and the potential influence on structural and physiological dysfunctions. The term he coined for this therapy was Visceral Manipulation. Jean-Pierre Barral began teaching Visceral Manipulation in the United States in 1985. Since then he has trained a team of International Instructors that teach Visceral Manipulation seminars around the world. He has authored numerous textbooks for healthcare professionals, and has also authored a book for the general public, Understanding the Messages of Your Body, which discusses the important link between our organs and our emotions. What is Visceral Manipulation? How Many Sessions Does It Take? What Does It Feel Like? How Can Organs Cause Pain and Dysfunction? Testimonials How are Our Emotions Stored in the Organs? How Did Visceral Manipulation Begin?